American language is so very fascinating. I remember growing up, when you were frustrated with someone, telling them to “take a hike!” was considered a polite insult. And, wow have things changed. To think that now saying “shut-up” is a part of casual conversation. That being said, even when someone was actually trying to tell me to “get lost” in the most harsh fashion…taking a hike is a wonderful invitation for many of us. What if we really could just walk outside and take a hike when we needed to leave a situation? What if you did live nestled in some of the most beautiful mountain landscape and taking a hike meant stumbling around in your own backyard for a small retreat from reality? Well, my brother’s family lives in Asheville, NC. If you need to ever force yourself to “take a hike,” I recommend heading to Asheville. I realize for me being outside and moving, walking, running anything comes naturally for me. I am very aware that it is not the case for everyone. Just this week, I received a wonderful email from my precious sister-in-law, Chris. She is so kind to share details about her kids’ lives. It is so hard to be an Aunt faraway. Thankfully, her emails, pictures and phone calls help make the miles tolerable as the three kids keep growing and changing. But, the treasure of this email that she sent was that it had an essay from her son, and my nephew, Isaac. Now, Isaac is the middle child of the three Pruitt children. He is not a child anymore. He stands a tall 6ft., has shoulders that are growing wider and stronger every day and he has big feet that will one day take him to some height that will amaze us all. But, it is what is on the inside that I want to share with you. Isaac is a man that has been reading Time magazine when you could hardly believe he could comprehend the titles of the articles. He not only reads the articles, but he can discuss the content and is amazed by what is happening in the world and any topic that is mentioned. He is so very bright and so very talented. 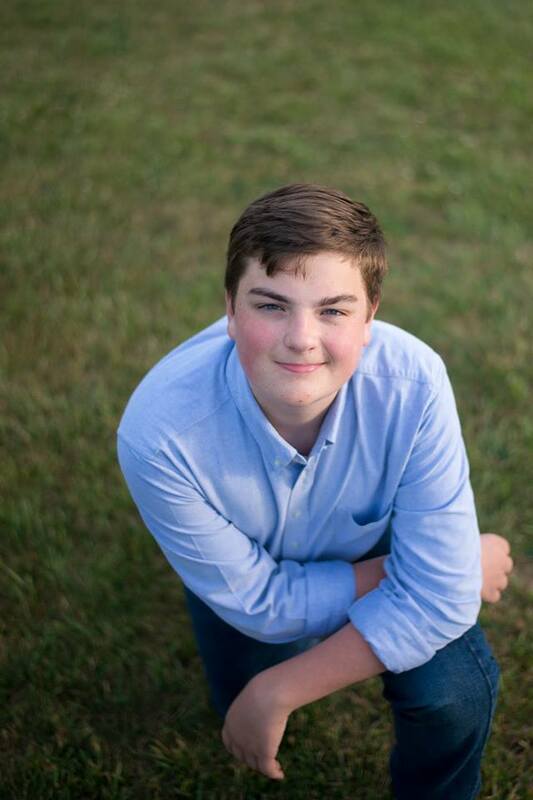 He plays the trombone, is in most of the play productions at school, is a master designer of Lego creations and, most of all, has a heart of gold. I am so very honored to have this precious soul in my life and in my family. Isaac is a teenager and for most of us we know what that means. When it comes to family activities or just spending the Saturday doing something with visiting relatives, it is often met with a teenage “grunt.” So with great pleasure, I introduce Isaac to you and his words that will make you not only respect his depth of wisdom, honesty and master of the English language, but he might even encourage you to step outside and take a walk, hike or just a movement to stare at the “natural beauty” that surrounds you. I have never been the most fanatical person when it comes to hiking. No matter how many times my family plans to participate in a mountainside trek or even a short promenade through one of the many trails located in our local area, I cannot seem to look forward to a hike. This characteristic of mine proved evident the day my mom decided an excursion to the top of Mount Pisgah would be quite a delightful mid-afternoon activity. The news of this decision was extremely rattling to me. Was she really asking me, the most inept hiker in our family, to scale this formidably massive mountain in the late October weather(sure, October is generally not the coolest month of the year, but for the time being we were in the middle of a cold front)? However, it was no use arguing my case, because at the time my grandmother was visiting, and I was expected to be on my very best behavior. And so it began. When my family and I arrived at our destination, I emerged from our Honda Odyssey with a single thought imbedded in my brain. Cold. It was freezing cold. The breed of cold that ignores all vain attempts of protection and pierces you straight to your very core. Obviously, this was not a frozen tundra of the Antarctic, but due to the high altitude and my own lack of preparedness, this trail felt remarkably similar to one. Luckily for me, a stray sweatshirt left in the car provided me with enough warmth to begin our journey. I still dreaded the whole experience, but the extra layer emboldened me to press on. Our small company made our way up the precipice, and along the way I had to dodge many obstacles and jump several hurdles. Among these were stretches of trail with a precariously small amount of ground to stand on located in between a dangerously steep drop off on one side and a sharp incline on the other. Also hindering our travel were times when the trail was so overrun with stray rocks and twisted, muscular roots branching from nearby trees that one had to cautiously jump from each large stone to the next, or meticulously climb over the debris blanketing the path. I cannot recount the amount of times when I believed that giving up was my best option, or when I wished I was back home, not on this God-forsaken spit of land. Nonetheless, my family encouraged me to push myself again and again, and push I did. After a while of back and forth, sitting down and getting back up, the environment seemed to lose its sinisterness, and I started to appreciate this mountain I was unwillingly exploring. I began to see the difficult trail not as natural torture device, but as a challenge for both mind and body. I saw the landscape as a tranquil and calm panorama, not just the backdrop to my pain. As we rounded the last corner of the Pisgah Trail, the pure magnificence of what I saw washed over me. 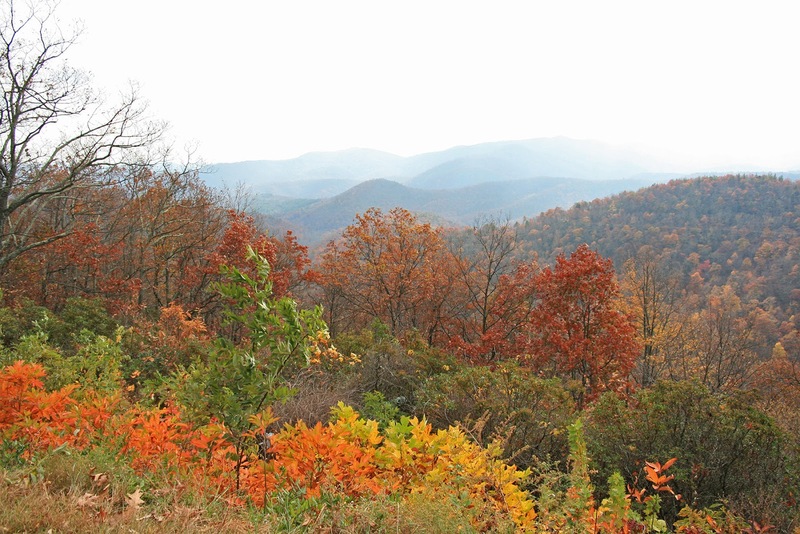 The vibrant pastel of autumn tones emanating from the thousands of trees spread out along the base of the mountain painted a picture of our Lord’s creativity and majesty. Sunlight reflected off chunks of ice beginning to form on a radio tower close by, exemplifying the abnormally low temperature. Nonetheless I shrugged off the cold that had deterred me only hours ago to admire this mural of natural beauty. We must have been atop the peak for at least half an hour before we mustered the energy to make the expedition back down to the base of the mountain. Surprising myself and those around me, I actually enjoyed the way down. My newfound admiration for this trail pervaded my mind and allowed me the energy I needed for that last length of the hike. I exited the trailhead with a small feeling of dismay at having to end this adventure so abruptly. It is still an arduous task for me to hike, but now my melancholy at the mere mention of one is gone, and I try to be as optimistic as possible whenever I come across one. Isaac, thank you for sharing your words and your experience. You are amazing. 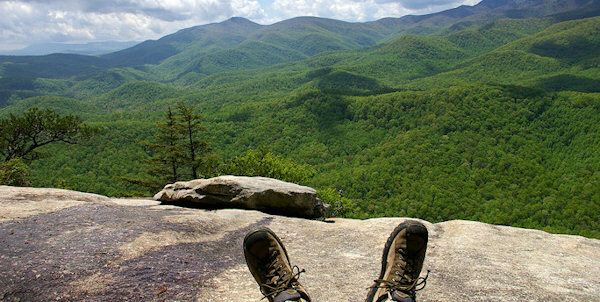 And I cannot wait to take a hike with you next time I am in Asheville. And to everyone out there…remember when life gets tough….just remember it is only a hike, you can do it!